Yes, you really can make $24,000.00 worth of high-quality colloidal silver from a single six-inch set of .9999 pure silver rods costing only $35…using a Micro-Particle Colloidal Silver Generator! Click here to jump to our price chart for silver rods and discounted bulk silver rolls for making colloidal silver. It’s the dirty little secret commercial colloidal silver vendors don’t want you to know. But it’s absolutely true — a typical 4-ounce bottle of colloidal silver at health food stores contains only about four or five cents worth of ingredients. That’s right…five lousy cents worth! In other words, the actual cost of the silver and the purified water in a tiny, four-ounce bottle of colloidal silver is about a nickel – that’s a little bit over a penny per ounce! Yet health food stores and online vendors mark-up those tiny four-ounce bottles to a whopping $20 or $30. That’s an astonishing 60,000% mark-up! And vendors get away with charging these exorbitant mark-ups simply because colloidal silver is so darned effective. You see, people are willing to pay through the nose for colloidal silver at health food stores because it’s natural and it heals infections and prevents the spread of germs and disease faster and better than anything else on the planet. You can make high-quality colloidal silver for just a few pennies per batch – so cheap, you can literally afford to give it away to friends, family members, co-workers and others! In fact, you can make quart after quart after quart of high-quality colloidal silver for about 36 cents per quart, allowing you to use colloidal silver freely for hundreds of healing and potentially life-saving purposes! Of course, you get one FREE set of .9999 pure silver rods with your Micro-Particle Colloidal Silver Generator. And that set will allow you to make an astonishing $24,000 worth of high-quality colloidal silver, based on typical health food store prices! But as you’ll see below, you should stock up on pure silver rods or bulk rolls now while we’ve got it on sale, and before the price of pure silver leaps any higher. 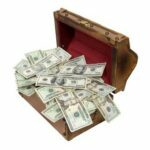 Make Over $24,000 Worth of Colloidal Silver! Each single set (i.e., two, six-inch strips) of .9999 pure silver rods costs only $35, and should last you for at least one full year under normal twice-weekly usage with a Micro-Particle Colloidal Silver Generator from The Silver Edge. This works out to a little over 25 gallons worth of high-quality colloidal silver in a year. Yes, that’s a whopping 3,200 ounces of colloidal silver from a single $35 set of our pure silver rods! If you paid health food store prices for those 3,200 ounces (averaging $7.50 per ounce), that would be an astonishing $24,000 worth of colloidal silver – all from a single set of .9999 pure silver rods costing only $35! What’s more, if you’re like me and you believe in stocking up for emergencies (or to save money in the long run), you can obtain as many convenient pre-cut single sets of .9999 pure silver rods as you want for only $35 each. Or, you can buy bulk rolls of the .9999 pure silver in 5 foot, 10 foot or 20 foot lengths and save up to an additional 30%. You simply use a pair of tin snips to cut your own silver rods to length. That way, you’ll be stocked up for life with silver rods for making your own high-quality colloidal silver with a Micro-Particle Colloidal Silver Generator. You’ll never have to worry about running out, or finding new silver rods in an emergency. And if a national crisis or health emergency strikes, you’ll be able to produce hundreds and hundreds of one-quart batches of colloidal silver for family members, friends, neighbors, co-workers, and more. There’s no telling how many lives you might benefit during an extended emergency when you have the ability to make as much healing (and potentially life-saving) colloidal silver as you need! See our handy price chart below. And by the way, we sell only the thicker 12 gauge silver rods and not the thinner 14 gauge silver rods most other vendors sell! The higher the gauge number, the thinner the wire. Other vendors don’t want you to know this fact because our thicker 12 gauge silver rods lasts 35% longer than their thinner 14 gauge silver rods! Save Up to 30% on Bulk Rolls of 5, 10 or 20 Feet! Silver prices are skyrocketing. And there’s no telling how expensive .9999 pure silver is going to be six months or even six weeks from now. That’s why I strongly recommend stocking up right away, while you can still get so much, for so little! 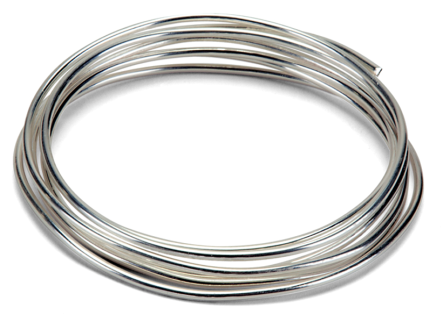 5 Foot Roll — You can get a five foot roll of .9999 pure 12 gauge silver wire for only $150. This reduces your cost from the usual $35 per foot to only $30 per foot, and should last you for five years and make over 125 gallons (i.e., 16,000 ounces) of high-quality colloidal silver under normal usage! That’s an astonishing $120,000.00 worth of colloidal silver at today’s standard health food store price of $30 for a tiny four-ounce bottle. Again, we know it sounds too good to be true. But check prices at your local health food store, and then do the math and see for yourself how much money you’ll save by making your own colloidal silver! 10 Foot Roll — You can get a 10 foot roll of .9999 pure 12 gauge silver wire for only $270. This reduces your cost from the usual $35 per foot to only $27 per foot, and should last you for ten years and make over 250 gallons (i.e., 32,000 ounces) of high-quality colloidal silver under normal usage! Yes, that’s about $240,000.00 worth of colloidal silver at today’s standard health food store price of $30 for a tiny four-ounce bottle. Unbelievable? Yup. But it’s true! Again, check your local health food store for the price of bottled colloidal silver, and then do the math and see for yourself! 20 Foot Roll – You can get a 20 foot of .9999 pure 12 gauge silver wire for only $490. This reduces your cost from the usual $35 per foot to only $24.50 per foot, and should last you for the next 20 years and make well over 500 gallons (i.e., 64,000 ounces) of high-quality colloidal silver under normal usage! Yes, that’s nearly a half a million dollars worth (i.e., $480,000.00) of colloidal silver you’ll be able to make, if you figure it at today’s standard health food store price of $30 for a tiny four-ounce bottle. Surely you can see by now why we’re so adamant that everyone should make their own colloidal silver! Sorry…due to price volatility in the silver market, these sales prices are guaranteed for the next 10 days only! 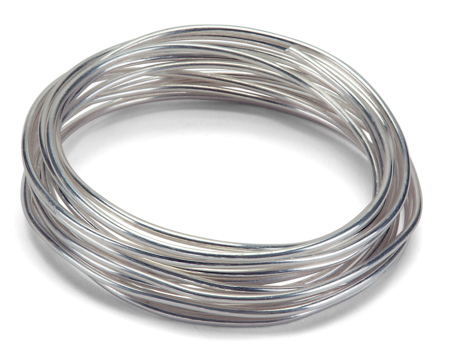 Please call us at 1-888-528-0559 if you have any questions on silver wire prices and sizes. Remember, we sell only the thicker 12 gauge, .9999 pure silver rods and bulk silver rolls, not the thinner 14 gauge silver wire sold by most other vendors. So it lasts up to 35% longer when you’re making colloidal silver! 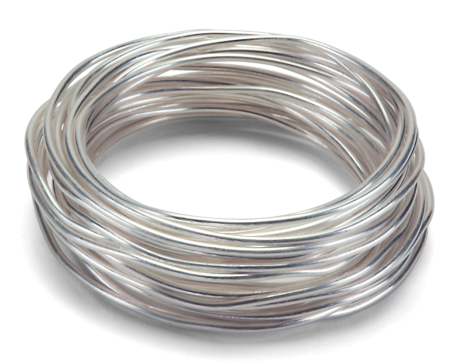 At these special low sale prices, there’s no better time than now to stock up on pure silver wire for making colloidal silver. After all, with all of the uncertainty in the world, silver prices could skyrocket even higher over the weeks and months ahead, forcing us to dramatically raise the price of our .9999 pure silver rods and bulk silver rolls. So if you’re going to start making your own colloidal silver (or if you already do) it would be wise indeed to take advantage of this phenomenal, strictly time-limited 10-day-only sale to make sure you’ll always have plenty of .9999 pure silver wire on hand for making colloidal silver. Start making your own colloidal silver for less than 36 cents a quart today, and you’ll never go back to paying those exorbitant 60,000% mark-ups for colloidal silver in health food stores or through online vendors! We generally ship within one or two business days of receiving your order, and most orders arrive to U.S. addresses within five business days of the shipping date. This means a typical U.S. order takes about one week to arrive from the date we receive your order. But sometimes the mail is slow so please allow up to two weeks for delivery. For questions on any of our products, please call The Silver Edge customer service department toll-free at 1-888-528-0559, M-F, 9 am to 4 pm AZ time.